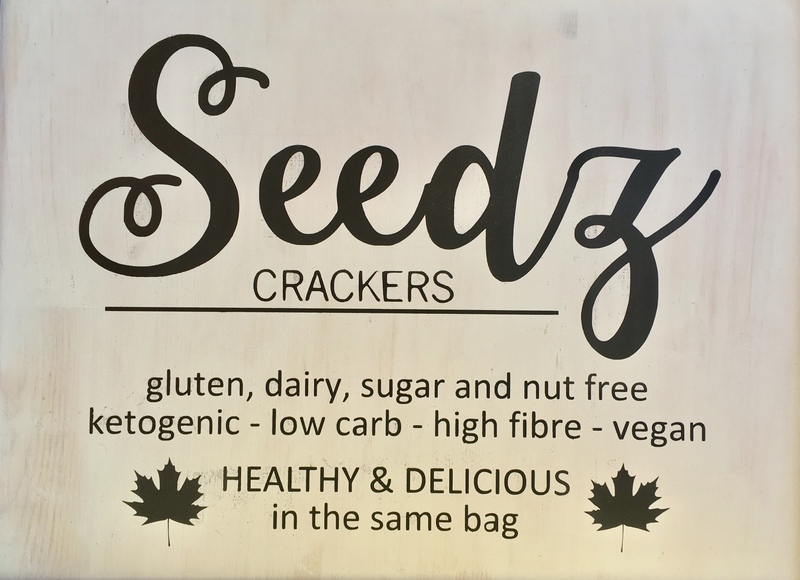 Seedz Crackers are handmade and baked in Cranbrook BC by Mal Paterson and team. Made with simple organic ingredients, highlighting five seeds, these crackers are gluten free and accommodate many dietary restrictions. They are also deliciously crunchy, toasty and addictive! Mal has always loved cooking healthy food for her community. “It is what makes me tick,” says Mal. Who are the makers at Seedz Crackers? Mal Paterson with husband Rob, and team members Joanne and April. Cranbrook, BC. We have a dedicated commercial kitchen in our home just for making Seedz Crackers. We have been making Seedz Crackers commercially since January 2018. 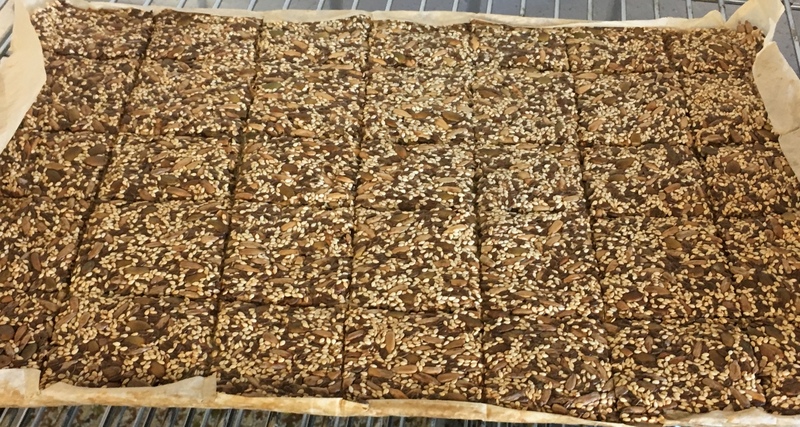 We make Seedz Crackers using only five seeds, water and Himalayan salt. We use organic sunflower, organic sesame, organic pumpkin, organic flax and organic psyllium seeds. Our crackers are: gluten free, sugar free, dairy free, nut free, ketogenic, low carb, and vegan. Seedz Crackers can be eaten plain, as a snack or topped with a large variety of topping options. This has has always been my love: to make homemade, healthy food for people. It makes me tick. I have loved to cook since I was a little girl and have been involved in food and food businesses ever since. 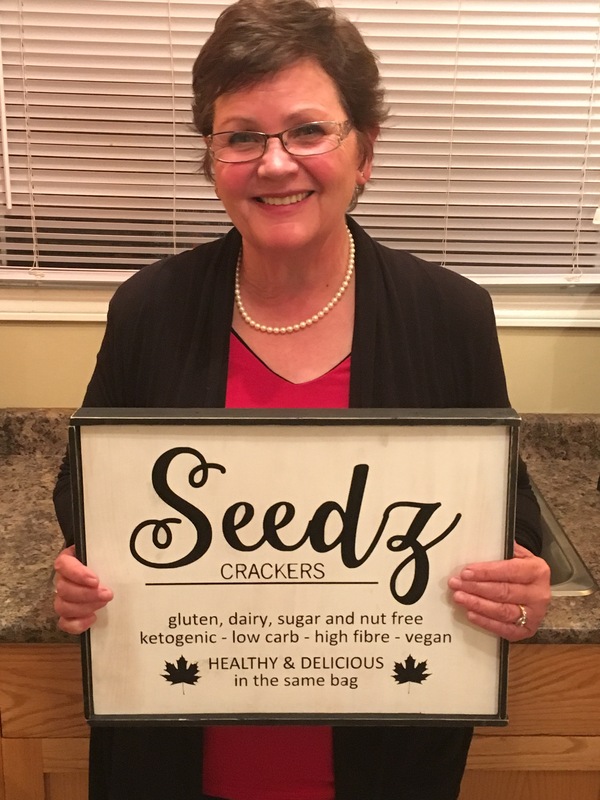 I started creating Seedz Crackers when was looking for a healthy option for our family to replace bread in our diet as we try to lower our carb intake. We loved them so much and thought others would too! The fact that we are supplying a need in a world of increasing dietary restrictions. I love receiving feedback from customers. I enjoy watching the facial expressions of people as they savor the crunchy, crispy, toasty taste sensation of Seedz Crackers for the first time. Rod and I have had a number of different food businesses in our 32 years of marriage. We have learnt a lot of hard, expensive lessons in the past, but these experiences have helped us to navigate faster growth with Seedz crackers. We continue to rely on strong local support to build Seedz Crackers. The fact that we have had excellent local support from the beginning has given us the ability to grow to supply about 80 retail outlets. People’s support for local food has made all the difference for us. It has been wonderful to become a part of your store. Co-op members are there because they love good food and they really care what goes into their body. The Co-op also has a wonderful feel of a family. I was delivering crackers recently and when a customer saw the Seedz Crackers logo on my box she enthusiastically greeted me and told me about how much she loves the crackers. Thank you so much for the very warm welcome to your Co-op family! Learn more on Seedz Crackers website by clicking here. Check out other True Local Farmer & Supplier Profiles here.